The Wedding Room is a unique boutique offering several different wedding services under one roof. Throughout all our services the one thing that we keep constant is offering a quality product with the best customer service. Below is a quick overview of what we can offer you. Our dress range encompasses a variety of styles, fabrics and silhouettes. 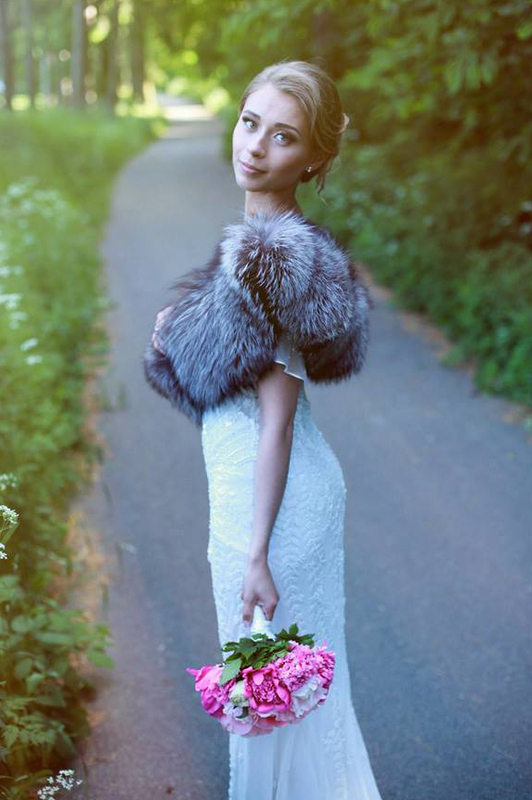 The dresses have been carefully selected to offer the bride something a little bit different. 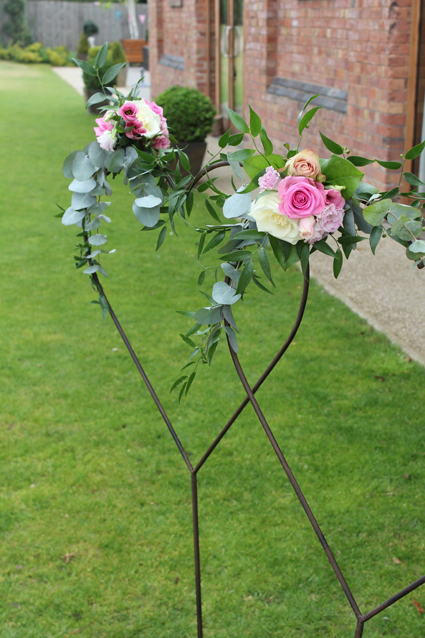 Whether you want classic wedding flowers or informal natural looking wedding flower we can create any look. With our knowledge of seasonal blooms we are happy to advise you and offer you many possible options. Stocking two brands of bridesmaids dresses, WTOO and Eliza & Ethan. These two labels offer a wide range of dress style in a large variety of colours. With an excellent knowledge of local venues we can offer you advice on how to dress your venue to fit with your chosen style. 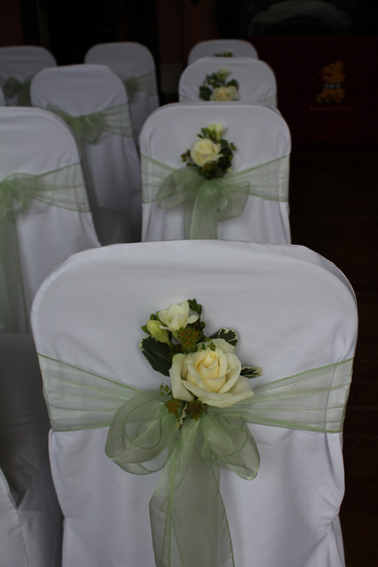 Our chair covers are made from quality cotton and include the hire of the sash too. There is the option to choose our fully fitted service or DIY option available too. 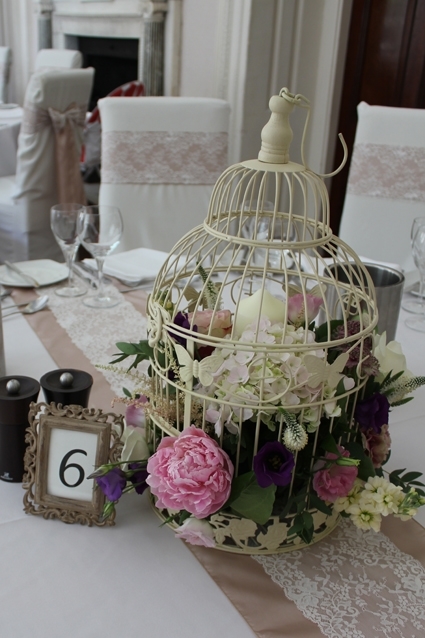 If you are looking for those few extra finishing touches to dress your room then we have a selection of centrepieces available to hire along with a few additional pieces. Seating plans can be made to order. More pieces available to view in the shop. To complete your outfit we can offer you suggestions for styling your wedding dress to finish off the desired look by the addition of a bridal veil, headpiece and wedding shoes. After your wedding, why not ask us to clean and box your dress? It is better to carry this out as soon after your wedding as possible. Here are a few example of the boxes you can choose from to store your dress in, with acid free paper, the perfect way to prolong the life of your dress.